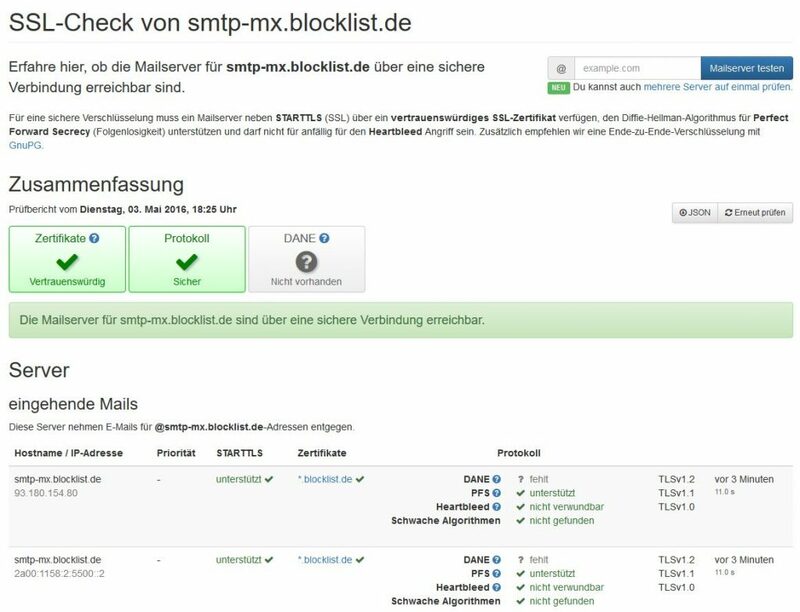 Fail2Ban Reporting Service » BlockList.de Systems are now up to date. A half year ago, since the first News comes up, that the Updates for the Debian-LTS from Update is near EndOfLife, we have tried to upgrade the blocklist.de-Systems. Because there was a lot of Changes, which need to manually fixed. We have copied the Data to a vps and worked with them. So we update the System -> crash… Rockbackup, fixed the Error, Update -> crash…. and again and again……. After round about 6 Months later, we had fixed all Errors and run now all Systems with the latest Version of the OS. 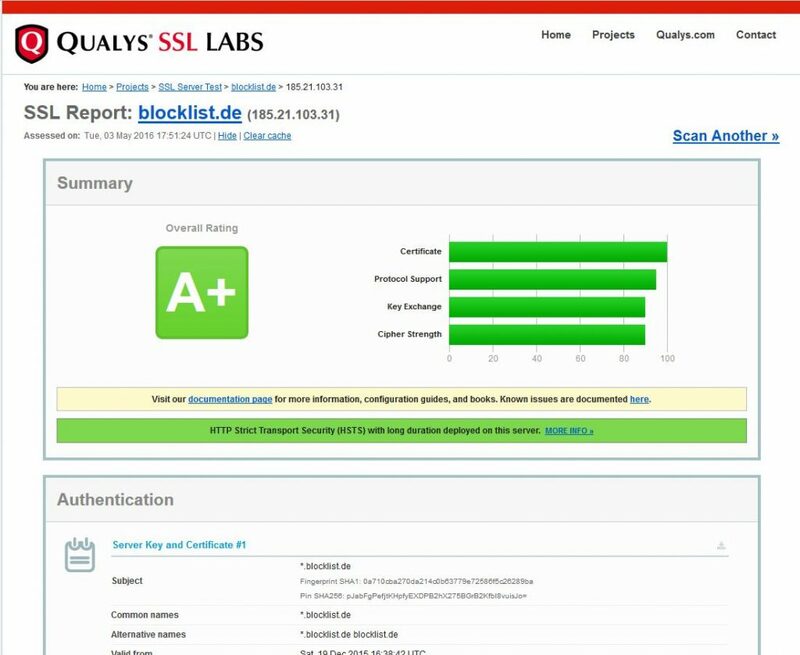 After the first stable Updates, there was a some Bugs, we dont see, but the BlockList.de-User has informed and helped us, to fix this. 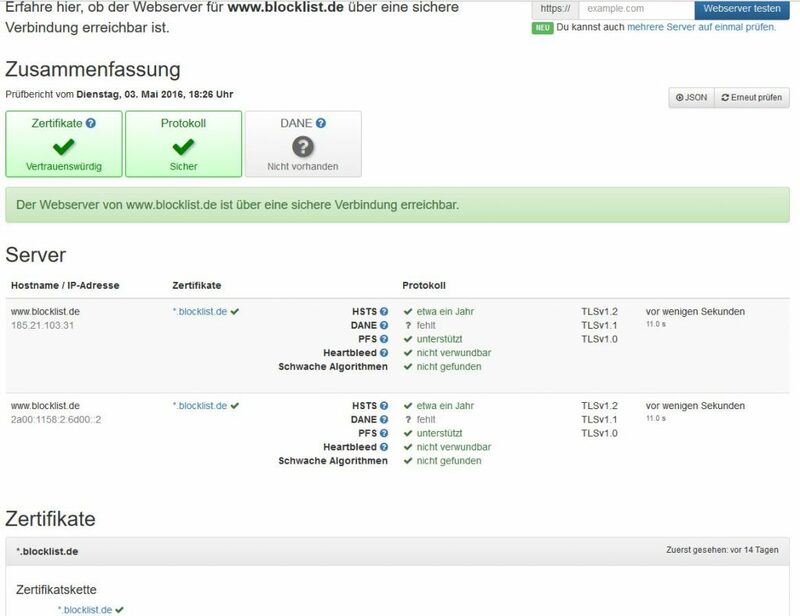 So, now the Blocklist.de-Site is almost as soon as the previous System (with a little bit more Caching). Only the Munin-Pictures are broken at the moment, because there was too many Users for the Munin-System. But we work on it and for the most Graphs, the creating works again fine. * = greylisting for the tested Address is active. to make the HTML and CSS ready for mobile devices. Generate the Statistics from the Blog (The raking from the countries and Companies) automatically. ja. Die meisten Arbeiten finden aber unter der Haube statt. Und das Problem mit den Grafiken, ist einfach zu komplex, wodurch wir da gerade ein neues Setup bauen.